For National Library Week, we celebrate our preliteracy champions! It’s been five whole years since we published our twin posts, Libraries, Our Early-Literacy Champions, Part 1 and Part 2. We needed back-to-back posts to report on all the exciting initiatives that libraries had been rolling out at that time to promote reading to babies right from birth. We naturally took the opportunity back then to point out that all the benefits of this practice listed by the American Library Association and others are enhanced if parents start reading to their babies even before birth. 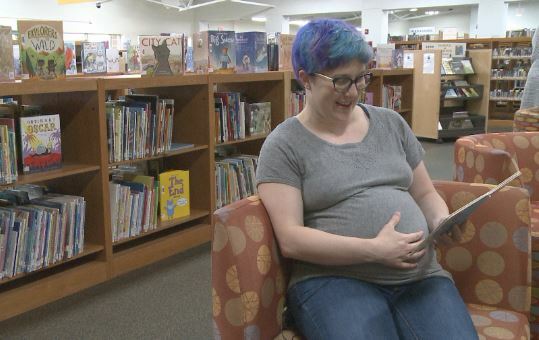 One library-affiliated group we gushed about, the Family Reading Partnership in New York state, had already established a program specifically to encourage reading to babies in the womb—and Waiting for Baby is still going strong. Well, five years later, we’re thrilled to find an explosion of library programs for expectant parents! First, watch this video about the Read to the Bump program in North Liberty, Iowa. Now check out that library’s fabulous page about its Womb Literacy (be still our hearts!) 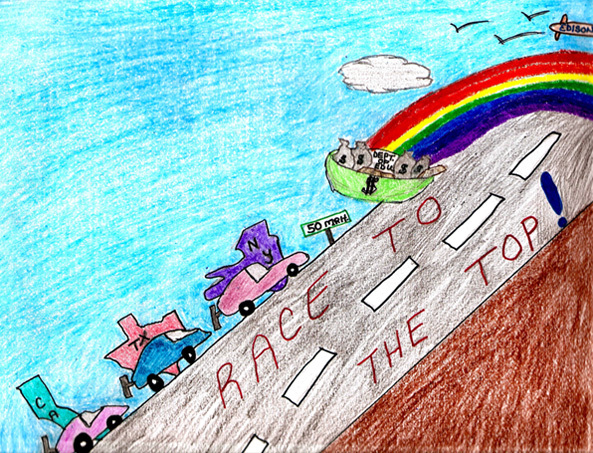 program, and don’t miss the info on the adorable Waddle Walk fundraiser mentioned in the video. And hey, pregnant storytime seems to be big in Iowa; here’s Iowa City Library’s wonderful Belly Babies page. Our nation’s capital is showing the way forward, too: DC Public Library’s STAR (sing, talk and read to baby) program includes the Expecting a Baby stage in its reading-level guide and book lists. You get the picture, and there are probably many more great examples springing up all over. Mother’s Day Early Bird Special! Enter promo code Mom2Bday on Amazon for 20% off Can’t Wait to Show You through May 31, 2017. Particularly exciting for us at the Reading Womb is the Early Literacy Initiative at the Esperanza Acosta Moreno branch of the El Paso, Texas, library. This program is dedicated to educating expectant mothers “on the impact of prenatal reading while developing a routine to jumpstart your child’s literacy. The library provides all of the materials necessary to introduce children to words and music essentially through prenatal storytime,” including our very own Can’t Wait to Show You: A Celebration for Mothers-to-Be. We could not be more proud and honored! The most important aspect of this distinction is that the initiative was made possible by a grant from the U.S. Institute of Museum and Library Services and the Texas State Library and Archives Commission for 2017. We never knew about this pilot program until its lovely coordinator quietly put in her grant-funded order for a supply of books. What stronger testament to the clear and proven benefits of reading to babies in the womb could there be than the readiness of library organizations to foster and fund programs to teach young families about the practice? Yes, the message is spreading: literacy can and should be nurtured not only in toddlers and babies but babies in utero, too. Abundant research over the last decade has shown that babies in the third trimester are an active audience. They can discern, remember, and learn what they hear from inside the womb. Learning doesn’t begin at birth but before birth, and that means early literacy work should now include pre-birth literacy, or, as we like to call it, preliteracy. But the nice thing is that no “work” is required for expectant parents—just cozy, snuggly reading time with the baby bump. Although you can’t yet see your little one, she is raptly listening to and learning from your words. You don’t have to think about how those words are laying the foundation for her social and cognitive development. You’ll feel the love flowing through your words, and so will she—maybe even more if you practice amid the good vibrations at your local library. So check out your library—does it offer prenatal story hour yet? If not, make the suggestion, and send your children’s librarian the link to this post! Abundant research during the past decade has made it clear that babies in the last trimester are an active audience. They can discern, remember, and learn what they hear from inside the womb. Therefore, there is strong evidence that the ALA’s listed benefits of reading to babies would be enhanced if reading began before birth! 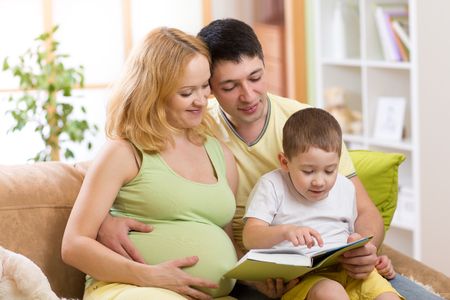 We’re sure it’s only a matter of time before prenatal reading is included as part of the ALA’s Born to Read intiative. Please check out this link to the ALA’s website for more information. In our August 2011 post Everybody’s Talkin’ at Me, we discussed the groundbreaking Hart and Risley study, which found that the amount of rich, responsive language interactions between parents and children before age three was a clear indicator of the children’s success in school, both socially and academically. We hope that the state of Massachusetts, as well as other states across the county, are paying attention to all the recent studies showing that babies learn language in the womb. It couldn’t be more concrete: Learning doesn’t begin at birth; it begins before birth. We certainly expect that our educational leaders will reflect the undeniable impact of prenatal language exposure as they create their nationwide literacy initiatives to improve the lives of our children and families. For now, go ahead, expectant mommies, daddies, grandparents, babysitters! Read to that baby bump! Although you can’t yet see your little one, she is raptly listening to and learning from your words, words that are music to her ears and, as the research shows, that lay the foundation for her social and cognitive development. And when our educational leaders announce that they are including prenatal reading in their recommendations, you can proudly say “I knew that,” as you continue to enjoy all the incredible research-supported benefits of reading to your baby before and after birth. It’s thrilling to see how many public libraries across the country are on board with the Born to Read initiative. Some host baby showers for expectant parents to give books and information to those who want to begin reading right away, and others distribute books to new parents in local hospitals so that they can start reading as soon as their babies are born. Reach Families Early: The earlier a family integrates books and reading into everyday life at home, the greater the impact books will have on their children. Reach Families at Home: We want all children to grow in literacy-rich environments, where books are accessible and enjoyed. 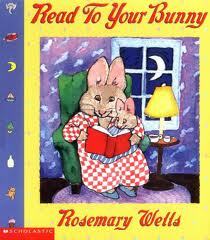 When adults and children discover the joy of books together in the home, a love of reading becomes a shared value. Encourage Daily Routines and Family Traditions Around Books: In a culture of literacy books are so interwoven into the fabric of family life that they become an expected and treasured part of everyday life. The whirlwind of energy and imagination behind the partnership is Executive Director Brigid Hubberman. We were honored to exchange a few emails with Ms. Hubberman, in which we enthused about the merits of in utero reading and Brigid shared some of the exciting programs the FRP facilitates to encourage families to embrace literacy-centered routines. The Family Reading Partnership has sponsored an incredible mission to get the literacy ball rolling as soon as possible by giving expectant parents inspiring reading materials at their initial prenatal doctor’s visit. Couples receive a copy of the beautiful rhyming and rhythmic book by Rosemary Wells, Read to Your Bunny, along with the adult book Reading Magic by literacy expert Mem Fox, which explains the importance of providing a literacy-rich environment for children. Now, how awesome is that? 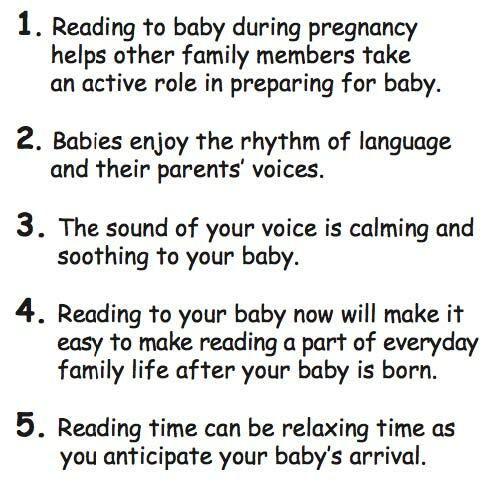 The FRP also distributes a playful bookmark, featuring this wonderful illustration from Reading Magic, that humorously depicts that it really, truly is never too early to read to your baby, as well five excellent reasons (see below) to start even before he or she is born. 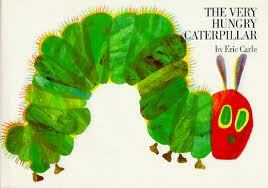 We do have a wonderful and concrete “evidence of impact” story from a father who read The Very Hungry Caterpillar to baby over and over in the months before birth. After a long and difficult labor, when baby was finally born by C-section, the new dad found himself exhausted, alone and panicked in the recovery room with a shrieking new baby. Looking down he felt the words well up, and found himself say to the baby, “In the light of the moon a little egg lay on a leaf.” Immediately, the baby quieted down and looked into her father’s eyes as he told the story of the caterpillar that turned into a butterfly. There is no doubt that this baby was soothed by the familiarity and comfort of her father’s voice reading (by heart) a story that was already her own! We get goosebumps every time we receive another confirmation of the magical effects of reading to babies in utero! And we are so grateful for the enormous contribution the Family Reading Partnership is making to the cause of family literacy (find out more about it here). In Part 2 we’ll talk a little more about the ALA’s Born to Read program, as well as the national educational initiative Race to the Top. 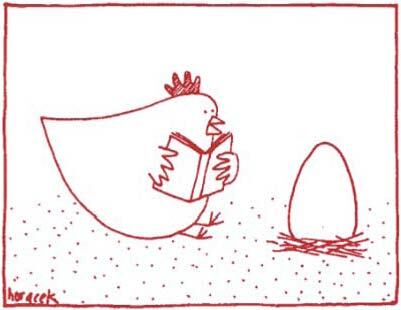 For now, we’ll leave you with the FRP’s perfect expression of why It’s Never Too Early to Read to Your Baby!